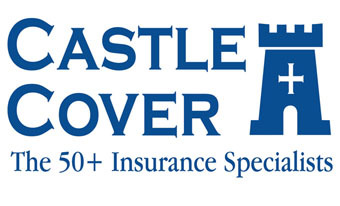 Castle Cover is an over 50’s insurance specialist market, with products covering home, car, travel and caravan insurance. Founded in 2006, Castle Cover was acquired by Ageas UK in 2011 with a joint Managing Director appointed for the RIAS and Castle Cover brands in 2012 under the new company name of Ageas 50. Clarification on source data used to drive communication activity. BlacklerRoberts’ expertise and ability to be self-sufficient, enabled Castle Cover to provide a high level brief as defined within the challenge and be confident in the information produced, without impacting existing resource challenges. Identify potential improvements to the existing communication activity following the completion of a GAPs Analysis activity. BlacklerRoberts presented the findings in a Campaign Definition Document, which provided a central and confirmed understanding of existing communication activity, enabling Ageas 50 to use best practice from the RIAS and Castle Cover brands to create future campaigns across both brands. Beyond the clarification of the communication strategy an additional benefit of missed communication cells and duplicate communication was realised through a greater understanding of the exclusion criteria, deduplication rules and segmentation employed.